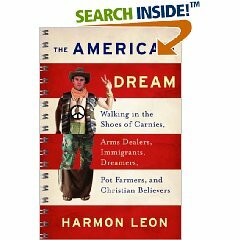 Last year I wrote an essay on the Hollywood dream for my friend Harmon Leon, and now it’s being published in his new book American Dream. It’s been recommended by Howard Stern, jimmy Kimmel, and other funny folk. The book is out on October 6th, but you can pre-order your copy NOW on Amazon. I’m pretty excited as Harmon is an excellent writer and very funny comedian. I’m honored to be sharing page space with him. Join the Ali Empire before I get too expensive for you…order now! More publishings from me soon. Honest To Prog – The Secret Machines Go Dark.